The lighting division of GlacialTech, GlacialLight, has announced a new energy efficient, powerful and endurable LED searchlight. 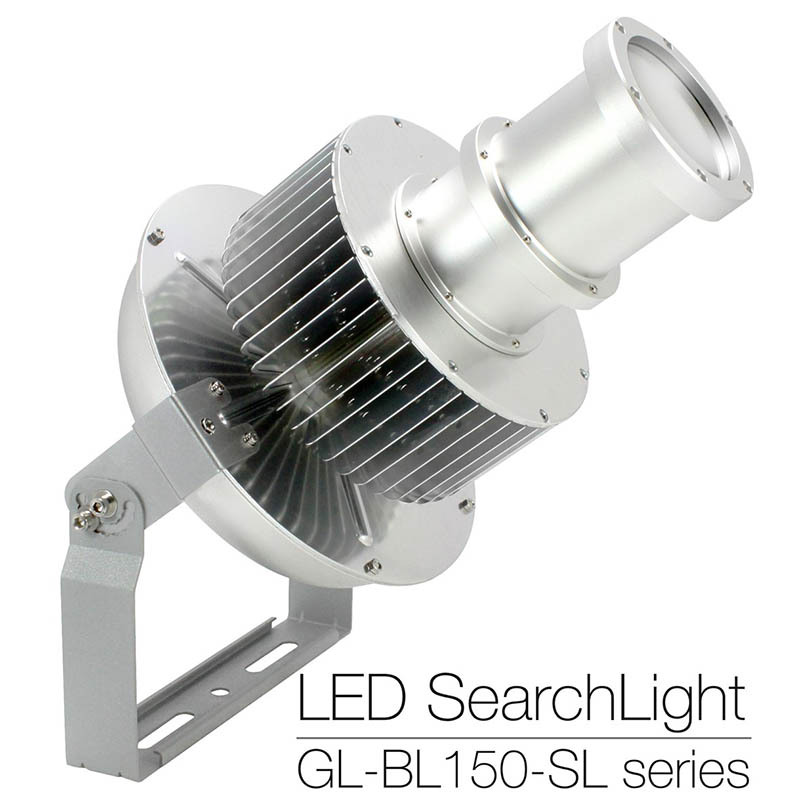 The GL-BL150-SL is a 147W searchlight for outdoor lighting applications with rugged IP66 rated weatherproof design. Featuring up to 13,200 lumen output, the GL-BL150-SL produces over one hundred thousand lux at one meter distance. The GL-BL150-SL comes with a narrow 23° beam angle with higher lux and increased throw. As well as it structures with pure aluminium housing, stainless steel bracket and screws. The bracket available in 180° rotating, it can adjust the projection angle in need. This new searchlight offers a safety steel wire mounted for default shipment. It is easy to install and the construction is robust. The GL-BL150-SL is suitable use in ancient buildings, bridges, museum, and building’s walls.